From November 2013, when the review of SKA Level 1 requirements began, right up to the Preliminary Design Review (PDR) and beyond into 2015, there has been a rush of activity in the Dish Consortium since the last SKA eNews. The Dish Consortium, the largest of the SKA consortia, brings with it a wealth of experience in every aspect of radio astronomy system design, from low noise receivers, phased array feeds, antenna optical and mechanical design through to vast system engineering and project management experience. The Dish Consortium is made up of expertise from 17 organisations from 8 countries, and led by CSIRO in Australia. The Preliminary Design Review (PDR) for Dish Consortium was held on the 9th & 10th of February at SKAO. The review panel was pleased with the quality of the work achieved by the Dish Consortium to date, although a final dish design selection had not yet been made. The panel remarked on its observation that the Consortium is clearly very dedicated to making a success of SKA1. Actions arising from the Dish PDR are still in the process of being closed out, and a delta-PDR will be held in the coming months to finalise the dish design. The Consortium completed the preparation of documents and cost estimates for the SKAO evaluation leading to SKA re-baselining. 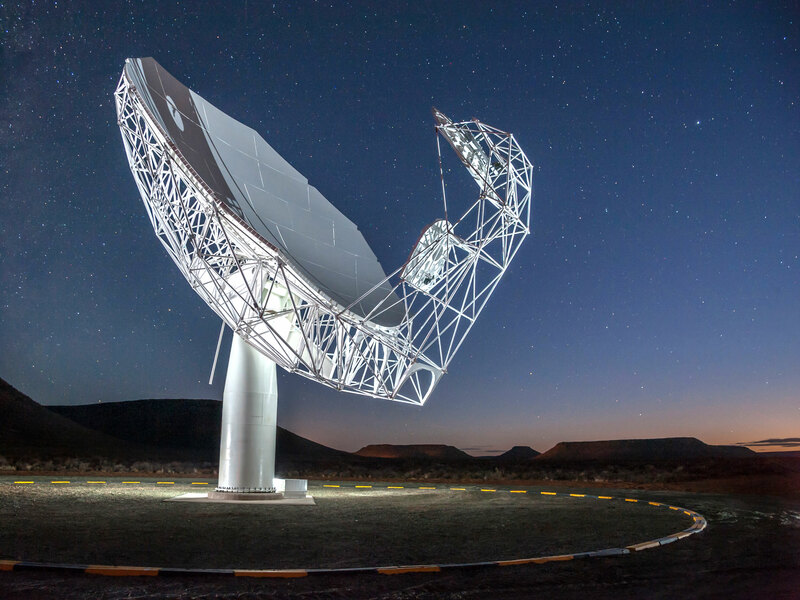 The documents along with the Dish Consortium Cost Summary for SKA Re-baselining were submitted to the SKAO on the 26th of September 2014. 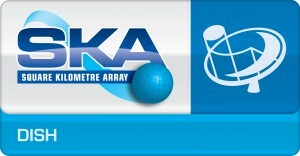 The re-baselining announcement in March 2015 has had a significant effect on the scope of the Dish Consortium’s work, particularly with regard to the removal of SKA_Survey from the SKA1 baseline, the elevation in priority of SKA-mid Band 5, and the proposal to move Phased Array Feed (PAF) development into an Advanced Instrumentation Programme. The consortium is still in the process of assessing the implications of these changes and adjusting to the new scope of work. The SKA dish will be a 15m diameter design using an offset Gregorian optical configuration. The goal of the optics selection was to define a common optical design which optimised performance for both the single pixel feed systems of SKA-mid and the PAFs of SKA_Survey. The final optics for the SKA antenna was decided at a meeting held on the 25th of February 2015; the shaped system includes a 5m sub-reflector which is extended at the bottom to reduce spillover. The selected optical design accommodates both SPFs and PAFs with optimal performance. The final feed refinements and detailed design of the SKA cryostats can now commence. The completed DVA-C antenna with CETC54’s SKA team and Phil Diamond, Director General of the SKA Organisation in August 2014. Three precursor antennas are being built as part of the Dish Consortium work: DVA-1 in Canada, DVA-C in China, and MeerKAT-1 in South Africa. Part of the Dish Consortium responsibilities is also the design and verification of the final SKA dish antenna. Significant progress was made with all three of the precursors during 2014. The different organisations involved provide invaluable expertise in building these precursor antennas. The tests conducted on the three antenna designs will provide valuable information in the design of the final SKA dish prototype SKA-P. 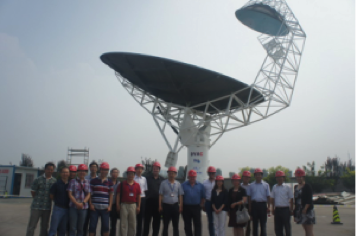 In January 2014, the Chinese partners successfully completed the sub-reflector part of their antenna, which was completely installed in August 2014. By the end of 2014, DVA-C had achieved ‘first light’ observations of a pulsar and Galactic neutral hydrogen. More recently, results of photogrammetry are being used to adjust the positions of the sub-reflector and indexer, and performance tests of DVA-C were completed in February of this year. An inauguration for the first MeerKAT antennas was held at the Karoo in South Africa in March 2014 (http://www.ska.ac.za/meerkat/). Initial measurements of the 13.5m MeerKAT antenna show that its sensitivity is comparable with what is expected for a 15m SKA antenna. Detailed characterisation of the MeerKAT antenna is well underway while the construction and fit out of the second antenna is almost complete. The secondary reflector and feed platform for the Canadian prototype antenna, DVA-1, were installed in July 2014, and initial test measurements with an EMSS L-band receiver in January 2015 continue to indicate a high aperture efficiency and low system temperature. Measurements of the antenna’s beam shape are in good agreement with theoretical predictions. A MeerKAT antenna at its inauguration in March 2014. The single feed and receiver systems for SKA-mid will cover the frequency range 350MHz to 13.8GHz in five separate bands. The development of feed and receiver systems for the two bottom bands, designated band-1 (350 – 1050 MHz) and band-2 (0.95 – 1.76GHz), was identified as the priority. A MeerKAT feed package has been successfully tested on DVA-1, this EMSS feed package will form the basis of the band-2 system for the SKA. A breadboard of the complete signal chain including an analog RF over optical fibre link and digitiser has also been demonstrated by NRC Canada. These systems show that the consortium is on track to develop a full prototype capable of meeting the challenging SKA specifications. The outcome of SKA1 rebaselining elevated the priority of band 5 (4.6 – 13.8GHz) and this has resulted in a substantial change of scope for the consortium. Initial studies of a feed and receiver system to cover this band are underway and the consortium is negotiating with additional partners to support this work. In mid-2014, representatives from CSIRO (Australia), the National Research Council (NRC, Canada) and ASTRON (Netherlands Institute for Radio Astronomy) undertook a collaborative measurement program using three different PAF element designs as part of SKA pre-construction work. All three organisations are involved in various SKA consortia, but this particular exercise was a key collaboration that brought together expertise from Dish (through CSIRO and NRC), LFAA and LFAA (ASTRON) consortia to test phased array feed demonstrators at CSIRO’s Parkes Observatory in Australia. These were not full-sized arrays, but a representative array with which it is possible to emulate the performance of the full-size design. 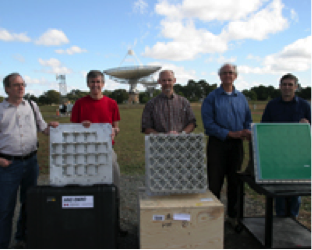 CSIRO’s 40 element chequerboard array, NRC’s 41 element thick Vivaldi array and ASTRON’s 60 element thin Vivaldi array were used to undertake a comparative set of measurements using a common radio-astronomy ‘back end’. This back end comprises the BETA prototype analogue signal processing, digitisation, beamformer and correlator located at the Parkes site. This was the first time that any of the radio-astronomy institutions involved in the SKA worked together to test their individual technologies in a common facility – providing a useful performance benchmark and a great opportunity for collaboration. The Dish Consortium gratefully acknowledges the important contribution Mark McKinnon made as Lead of the Dish Consortium. Mark joined CSIRO in September 2013 on secondment from the US National Radio Astronomy Organisation (NRAO), a term which ended in March 2015. His experience in radio-astronomy, international collaboration and industry engagement provided was invaluable to the Dish Consortium’s work for SKA pre-construction.